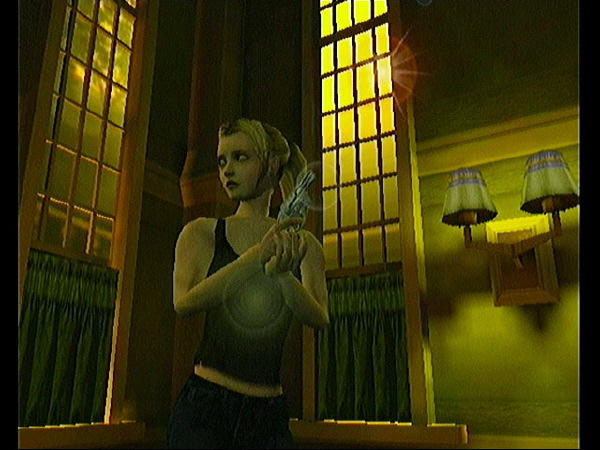 Alex, a protagonist in Nintendo's mature game, Eternal Darkness, for the GameCube system. 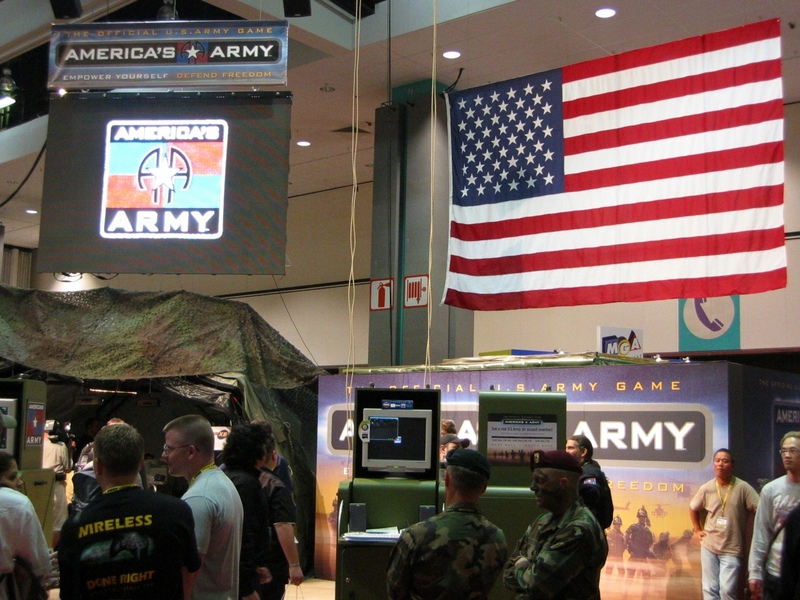 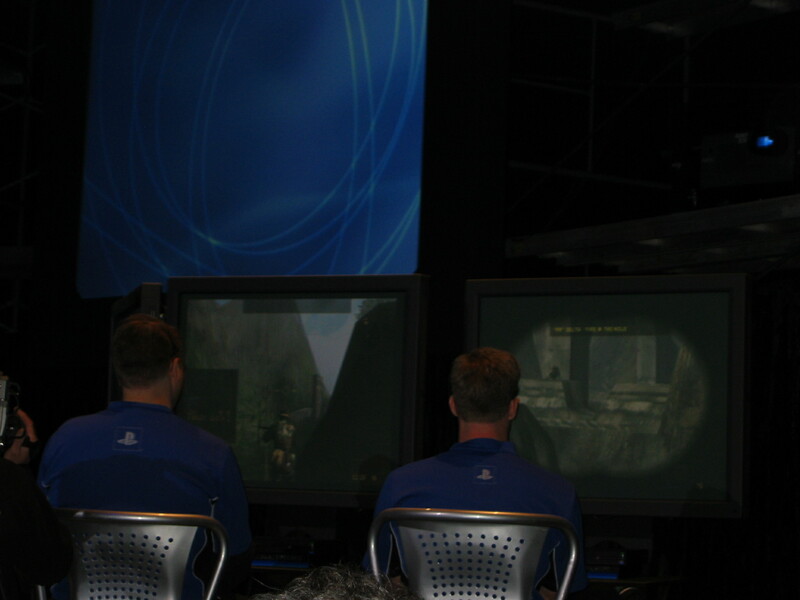 Representatives from Sony demonstrate an online session of SOCOM: U.S. Navy Seals, for the PlayStation 2. 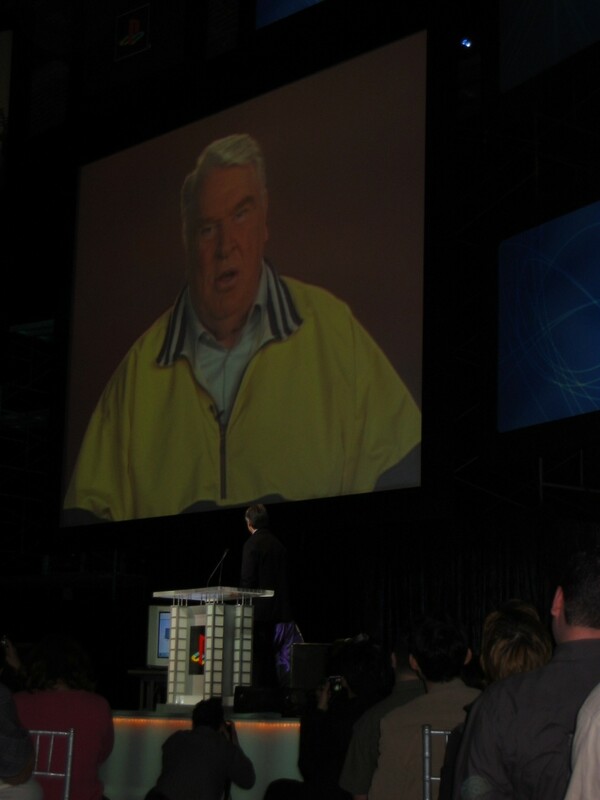 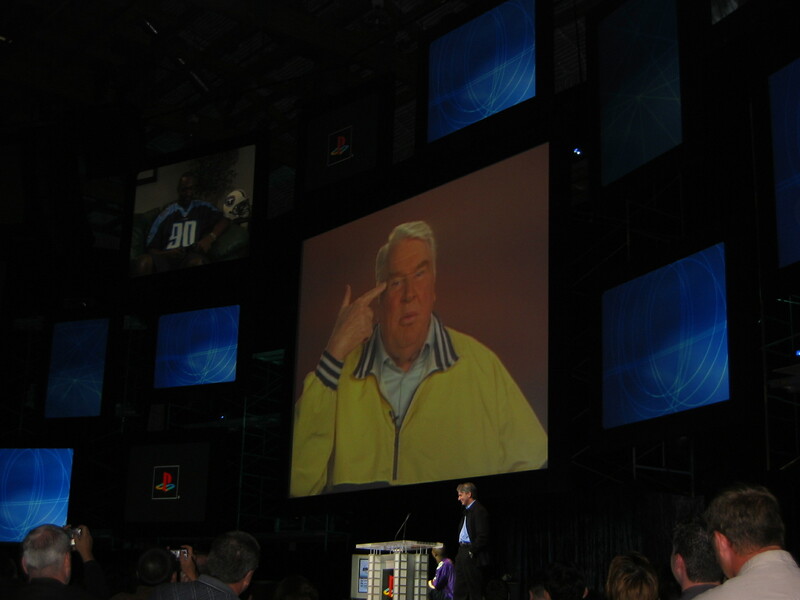 John Madden commentates on an online football game between Dante Culpepper and Devon Kearse. 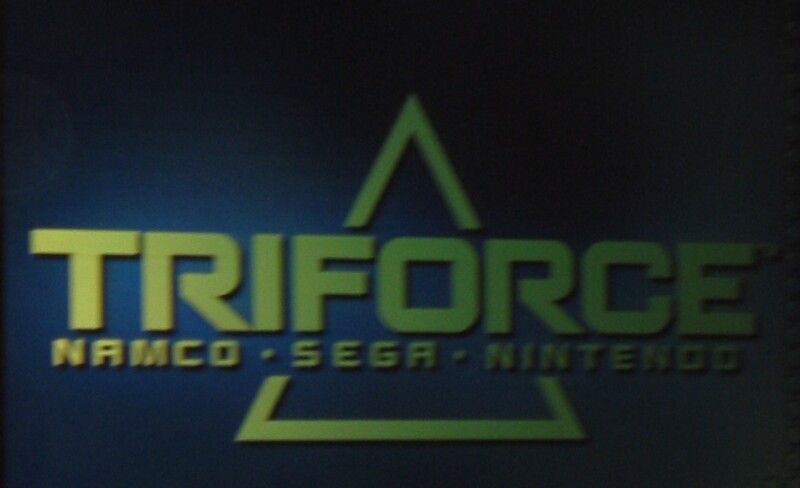 Namco, Sega, and Nintendo are collaborating on arcade hardware and software. 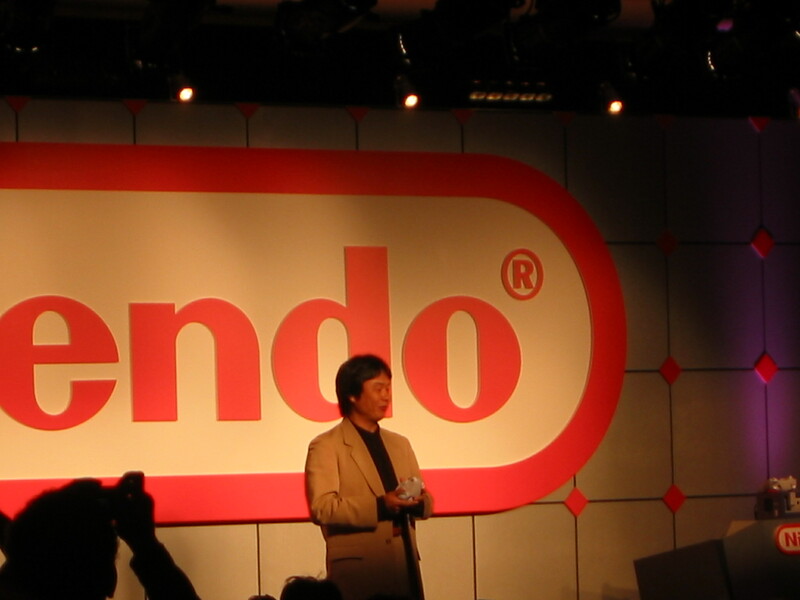 Shigeru Miyamoto, creator of Mario, uses the wireless WaveBird controller to demonstrate Super Mario Sunshine for the Nintendo GameCube. 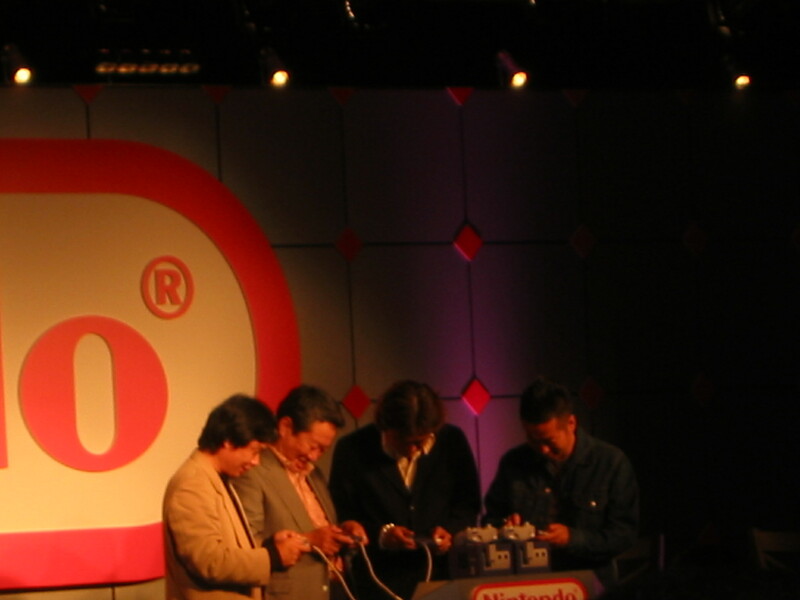 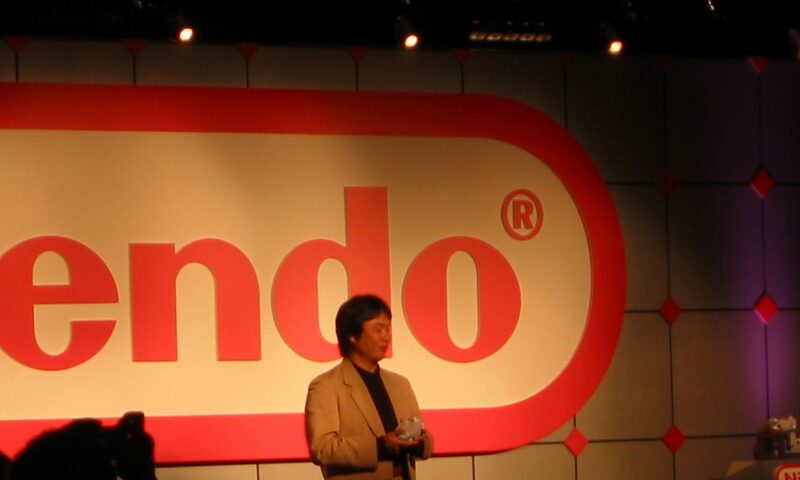 higeru Miyamoto is joined by representatives from Sega, Namco, and Capcom to play a four-player round of The Legend of Zelda: A Link to the Past, for Game Boy Advance. 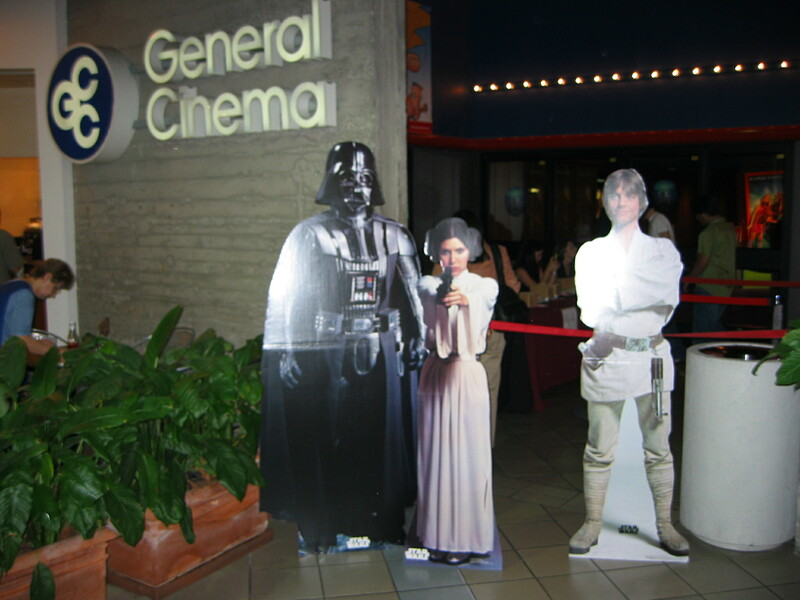 hese cardboard standouts greeted industry members who were invited to an exclusive screening of Star Wars Episode II: Attack of the Clones, by LucasArts. 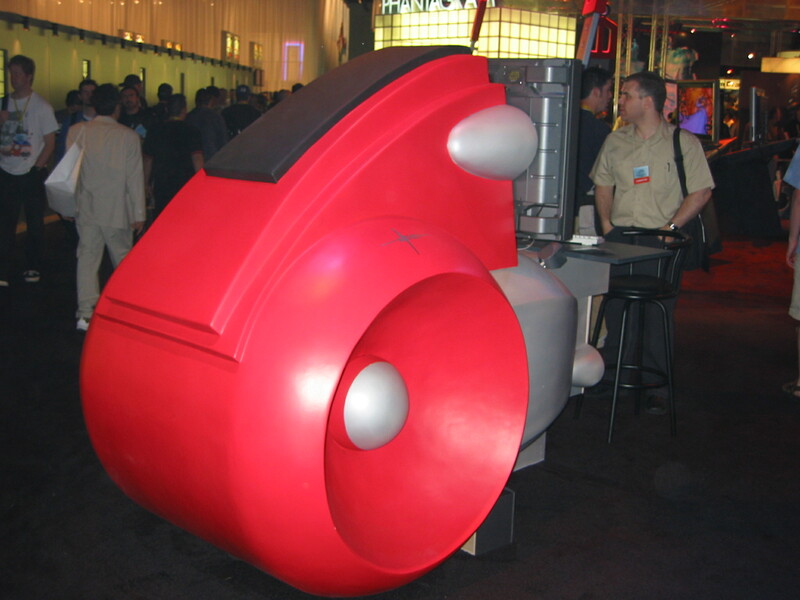 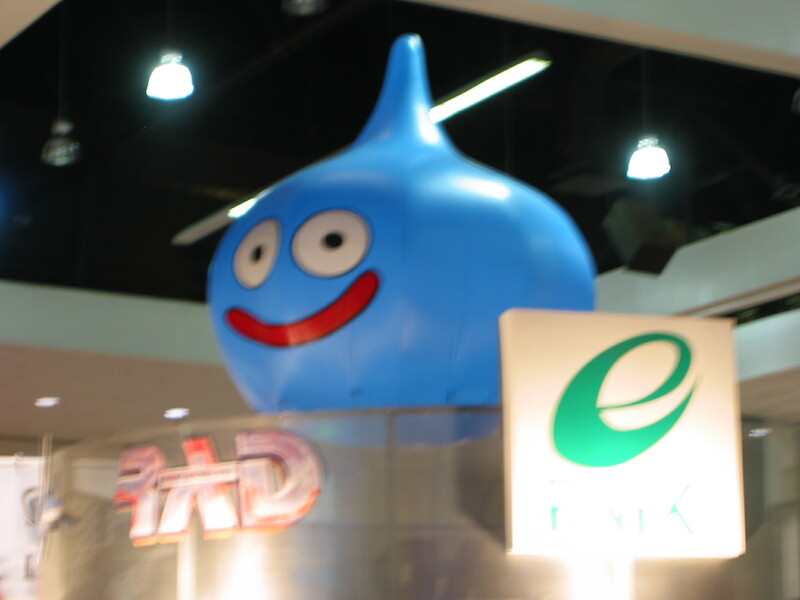 Enix's booth was mounted by a giant Slime, a monster from their Dragon Warrior games. 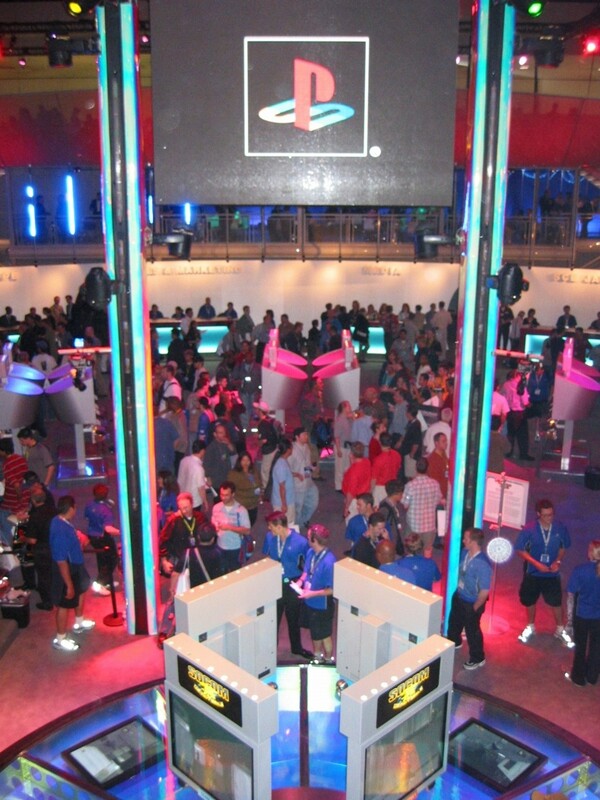 At Disney's booth, a PC station is shaped like a light cycle at which attendees can try the new TRON 2.0 video game. 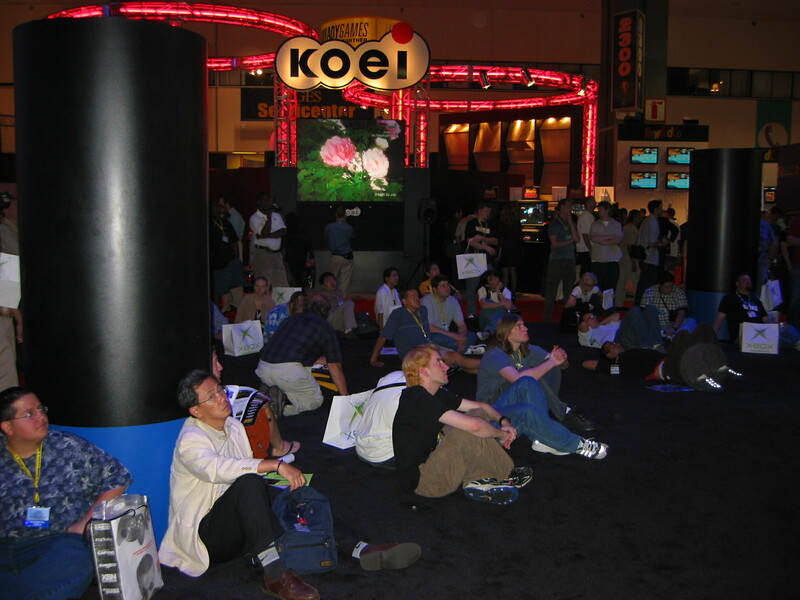 Onlookers sit down to watch the various game trailers at Sega's booth. 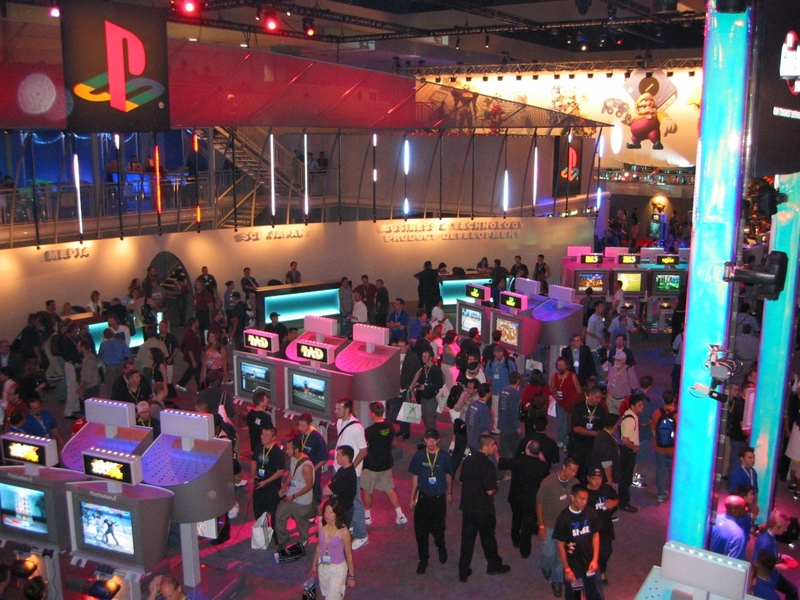 Attendees mingle between the Sony and Nintendo booths. 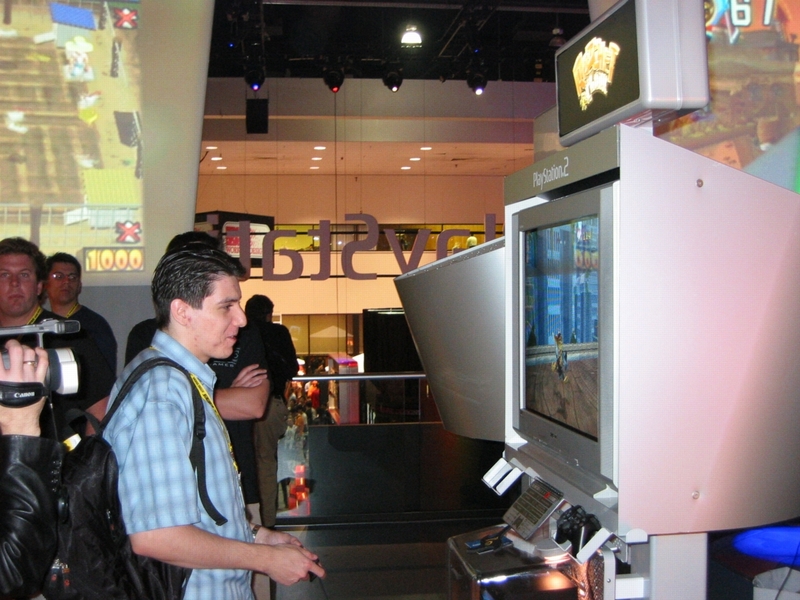 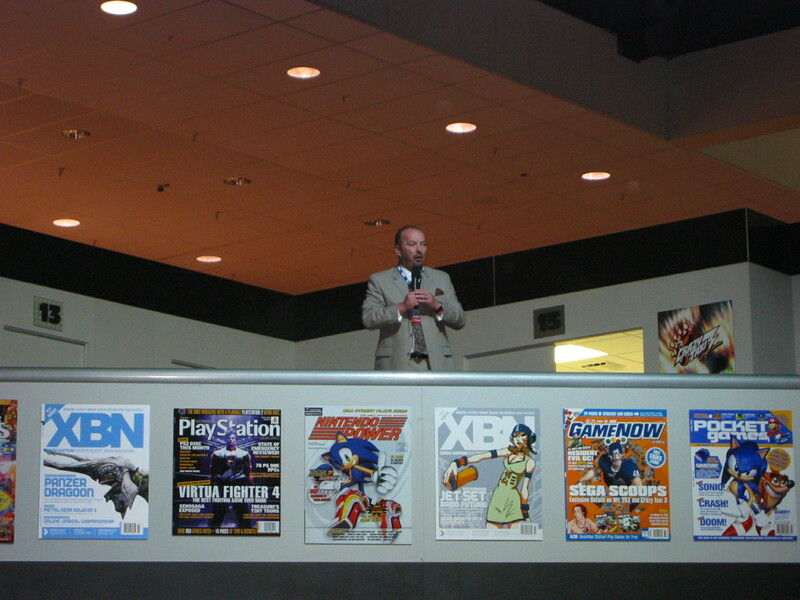 Joe Talladira of CompuServe tries out Ratchet & Clank, a new PlayStation 2 game, as a representative from developer Insomniac Studios watches. 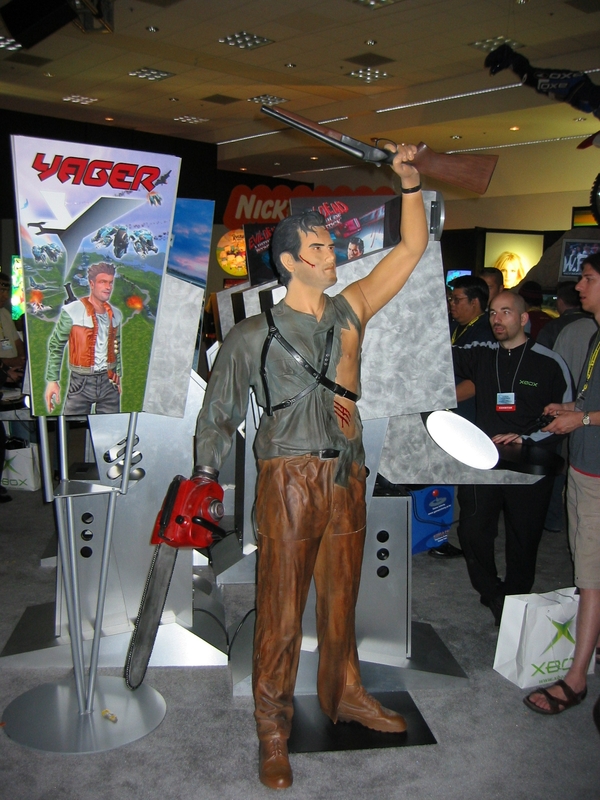 An attendee poses with the new model for Lara Croft, star of the Tomb Raider video games. 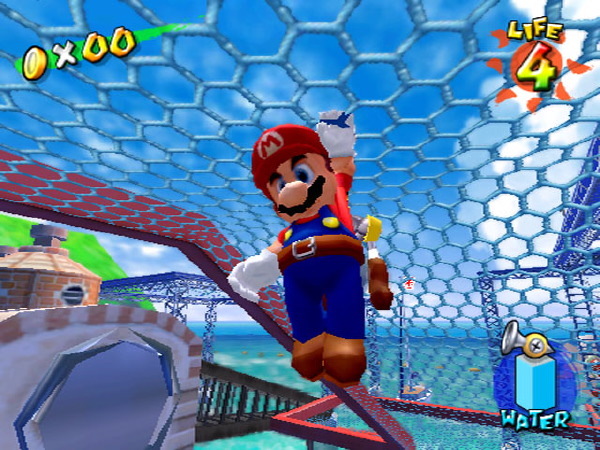 Mario debuts on the Nintendo GameCube in the game Super Mario Sunshine. 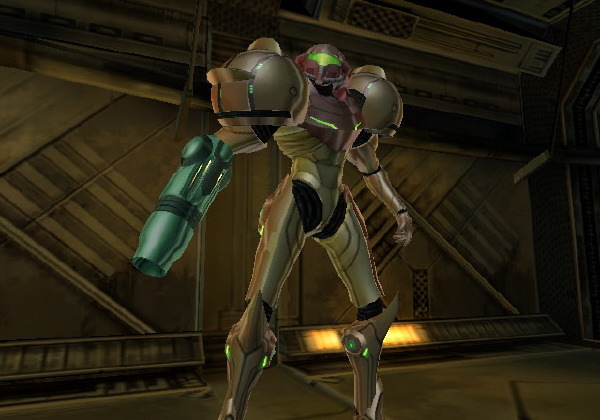 Bounty hunter Samus Aran returns after a long hiatus in the Nintendo GameCube game Metroid Prime.